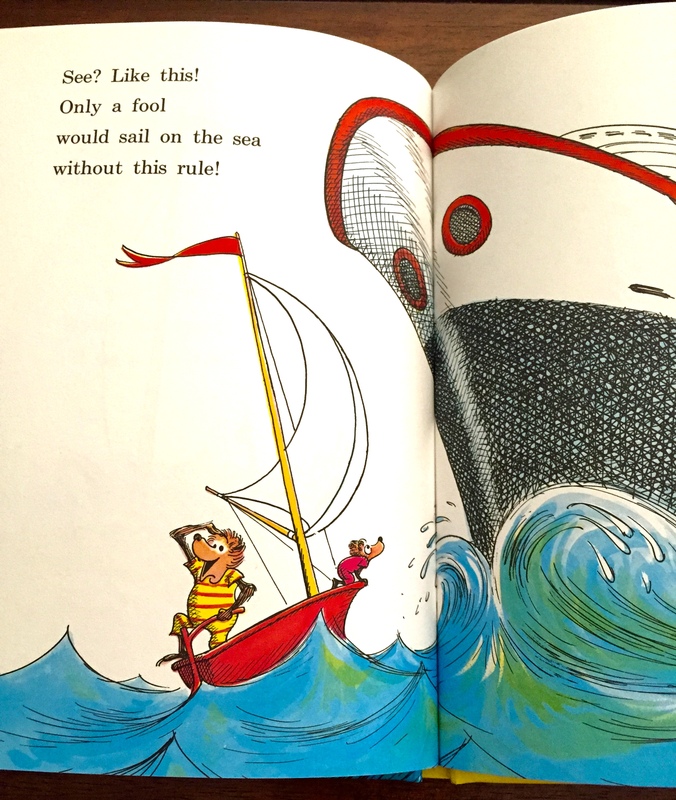 Last week, in honor of Jurassic World’s release, we featured several Berenstain Bears books relating to dinosaurs. 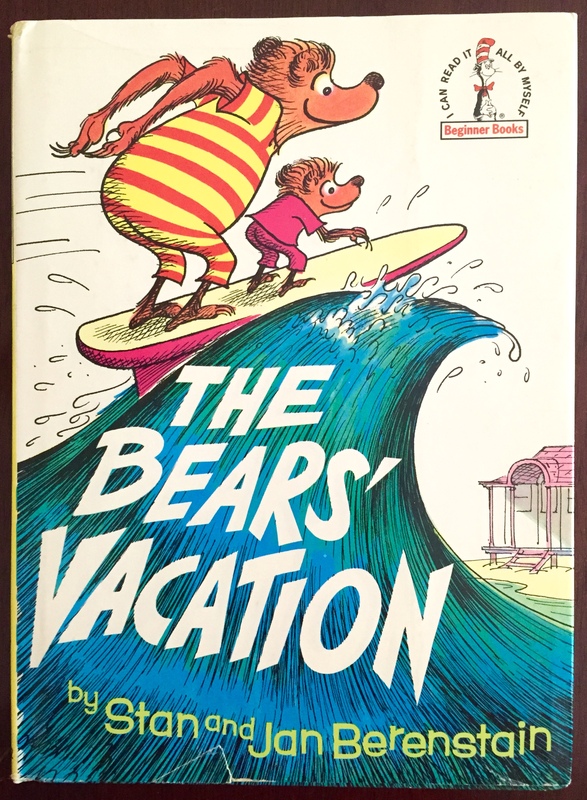 This week, I am celebrating the first official day of Summer with one of the all-time classics, “The Bears’ Vacation” (Random House, 1968, buy a copy here). 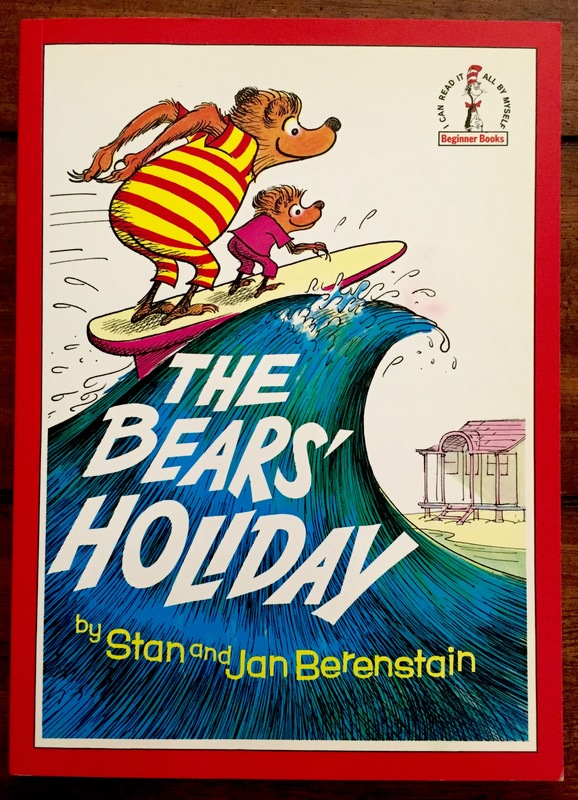 It also happens that “Deep in Bear Country – A Berenstain Bearcast” featured this book on their episode this past week so be sure to check out the podcast. The front endpapers and inside flap of the dust jacket show classic Berenstain Bears illustrations that were unique to the Beginner Books series. 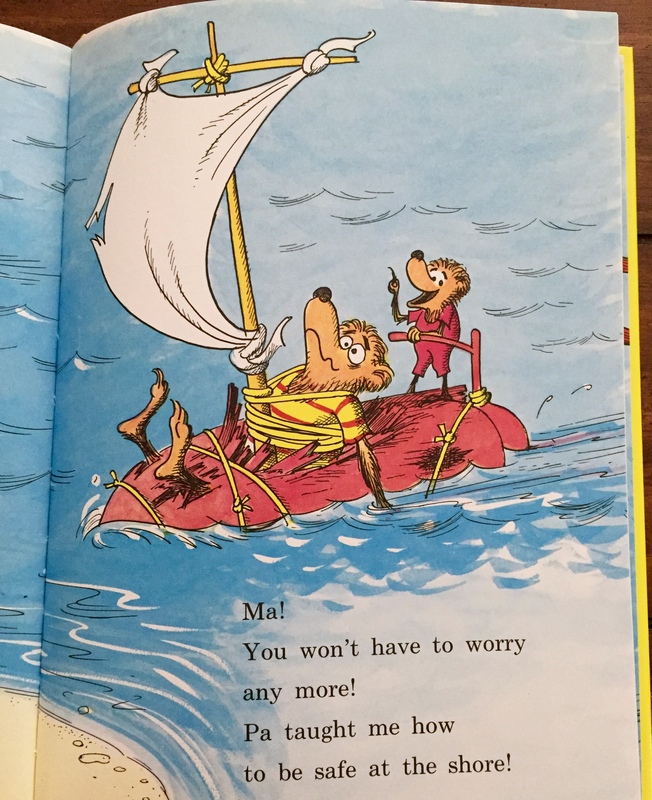 The Bears’ Vacation was the fifth book in the Berenstain Bears series, and continues the Beginner Books tradition of having Papa Bear “teach” Small Bear safety lessons. Of course there are many dangers at the beach and Papa finds them all, inadvertently showing Small Bear what NOT to do. 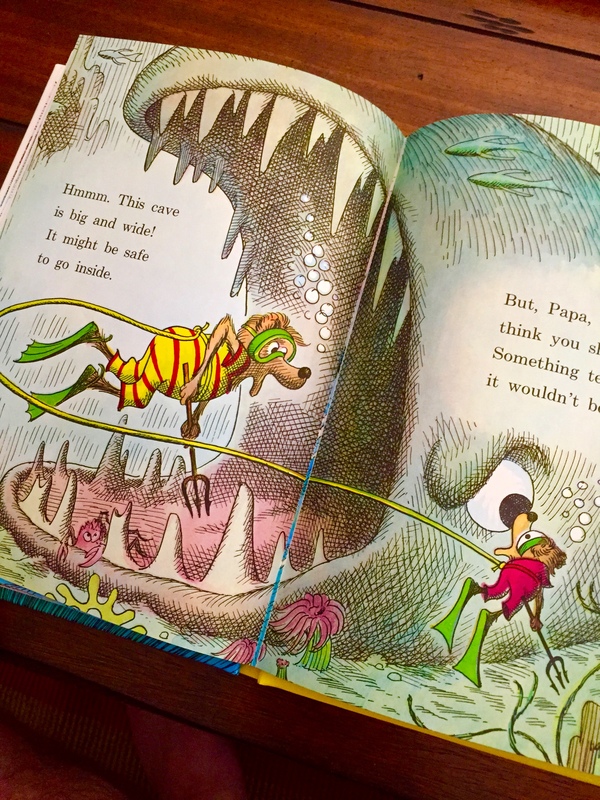 Classic early illustrations and a simple, rhyming story make this book a real treat! Small Bear tried to tell Papa about the “No Diving” sign, but it was too late! Soon, things get much more serious! 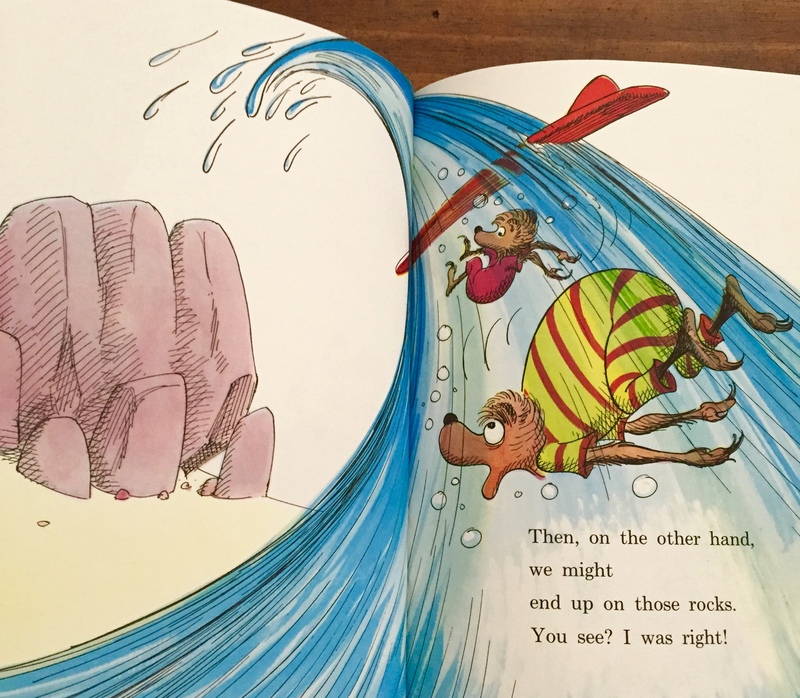 After a series of increasingly dangerous situations, Papa and Small Bear return to their seaside cottage, having learned a lot about “safety” at the beach. 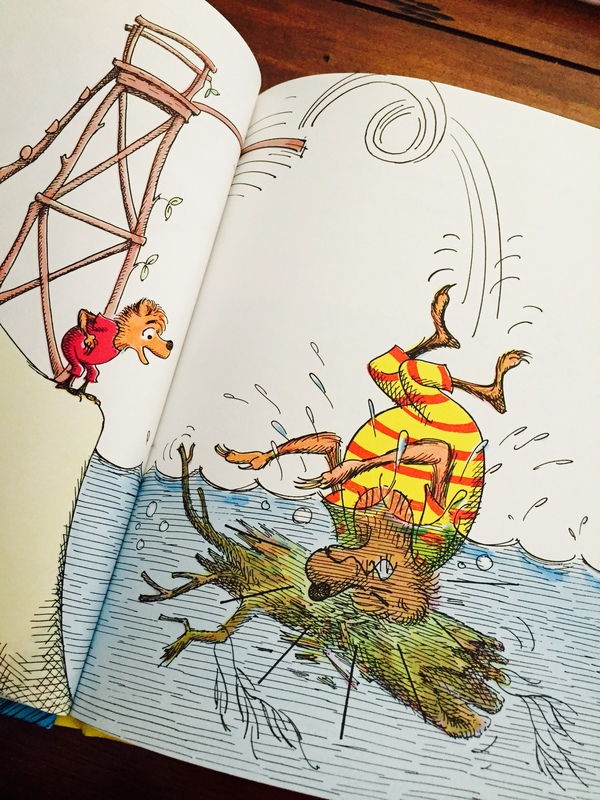 That’s all I’ve got — but if you want to know more, the official Berenstain Bears blog featured this book back in 2012. Check out their post now! 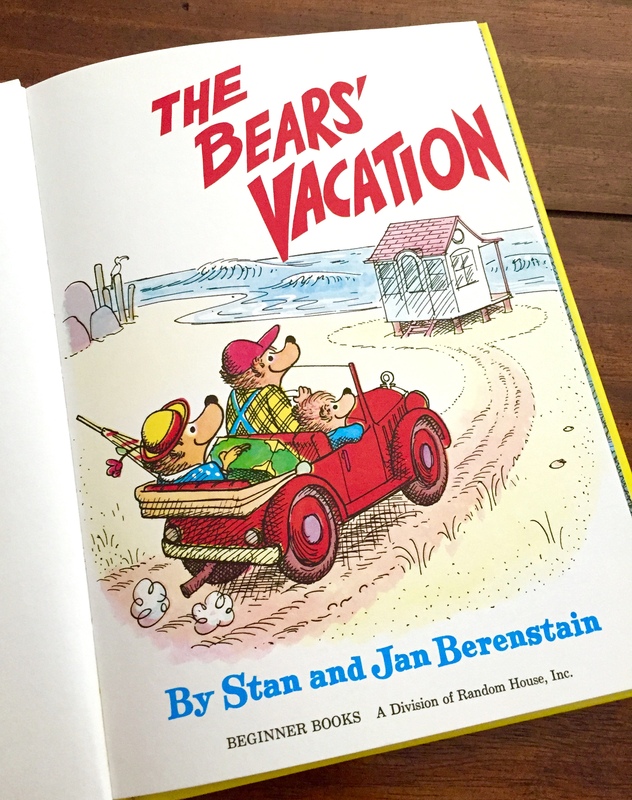 It’s also part of their 2015 Summer Reading Guide, so head over to the Official Berenstain Bears Blog now!